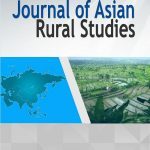 Hasanuddin University and Asian Rural Sociology Association published the first issue of Journal of Rural Sociology Studies (JARS). Paper submission is welcome. Please go to the JARS web site on http://pasca.unhas.ac.id/ojs/index.php/jars. This entry was posted in Journal on January 19, 2017 by admin. 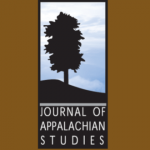 The Journal of Appalachian Studies announces a special two-year forum on sustainable economic development in Appalachia, starting with the journal’s spring 2016 (Vol. 22, No. 1) issue and ending with the fall 2017 (Vol. 23, No. 2) issue. For more information please view call for papers or see the website of the Journal. This entry was posted in Journal on June 13, 2015 by admin. The Journal of Appalachian Studies announces a special two-year forum on sustainable economic development in Appalachia, starting with the journal’s Spring 2016 (Vol 22, No 1) issue and ending with the Fall 2017 (Vol 23, No 2) issue. We invite the submission of manuscripts dealing with practices relevant to sustainable economic development in Appalachian communities. We will consider a wide-range of scholarship from a variety of disciplines and applied fields. Manuscripts focusing on economic development theory, empirical and/or applied research, or narrative essays on development issues will be welcome. We also seek research, which compares Appalachia to other regions in the world. This entry was posted in Journal on September 8, 2014 by admin. Lockie, McNaughton, Thompson and Tennent: Private Food Standards as Responsive Regulation: The Role of National Legislation in the Development and Evolution of GLOBALG.A.P. This entry was posted in Journal on October 8, 2013 by admin.